← ¿Qué hay de nuevo en Libia? Iraq is in turmoil. The terrorist attacks and ongoing war with Islamist militants, which catch the headlines, is only one of the crisis’ many manifestations. It is not just a toughest challenge, but a survival test the Iraqi state is facing today. Unless the root causes of the problem are addressed and a political solution that satisfies all the major actors (including the diverse groups of population along with political elites) is found and agreed upon, Iraq will struggle to establish peace and order in its territory, let alone offer its fellow citizens a prosperous and dignified life they long deserve. To borrow from di Lampedusa’s masterpiece, if Iraq is to remain a sovereign functioning state in its present borders, certain things in its fundamental rules will have to change. Today, the Arab and the entire Muslim world are going through a very dynamic, and at times highly volatile, process of transition. The mixture of cultural (including political) heritage with the processes and products of globalization offer a unique set of contexts that differ from each other locally, in dynamics and forms, but altogether give rise to diverse global trends and movements. It is a complex, unpredictable, and quite painful process, were emergence of extremism and religious militancy coexists and effectively competes with secular forces and post-Islamist movements which, unlike their predecessors, recognize the compatibility of promoting Islamic values with respecting democratic procedures. It is also an innovative process, meaning that it allows testing diverse range of approaches, sometimes failing and reverting back to square one, and sometimes producing some novel political outcomes never experienced before—the evidence from countries as different in terms of political system as Morocco, Tunisia, Egypt, Jordan, Turkey, Kuwait, Iran, Pakistan, and Indonesia clearly proves that. Those political experiments are not innocent though—this is the struggle for power, after all. And their proponents keep looking for vulnerabilities, capitalize on the weaknesses of existing political regimes, and continuously adapt. Even seemingly stable Arab states (namely, the Gulf monarchies of Saudi Arabia, United Arab Emirates, Kuwait, Qatar, Oman, and Bahrain) are struggling under the pressure of internal problems, where diminishing revenues, growing population, voluntary and real unemployment, inequality and poverty are taken against the ruling regimes by their opponents, who capitalize on the growing dissatisfaction and frustration of their citizen with economic and social problems, censorship and violation of human rights. Some commentators went as far as to suggest that these regimes, at least in their present form, will cease to exist within few years. However, first affected by the popular uprising across the Middle East and North Africa, dubbed the Arab Spring of 2010-2011, were so called presidential monarchies. Dictators who made themselves their respective countries’ presidents for life, indeed, had ruled in increasingly authoritarian fashion, for four decades: Muammar al-Qaddafi in Libya since the 1969 coup; the al-Assad family in Syria since the 1970 coup; Ali Abdullah Saleh in Yemen since the 1978 coup (in North Yemen); Zine El Abidine Ben Ali in Tunisia since taking power in 1987 coup; and Hosni Mubarak since becoming a president of Egypt in 1981. To date, all but one are gone. Whatever happens with Bashar al-Assad at the eventual end of the civil war, it is clear that there is no way back to presidential monarchy in Syria. And in this context, it is safe to suggest that, if not toppled by the US-British invasion in 2003, Saddam Hussein would have faced the challenge of Arab Spring in Iraq, and the fate of the other rulers of similar kind. 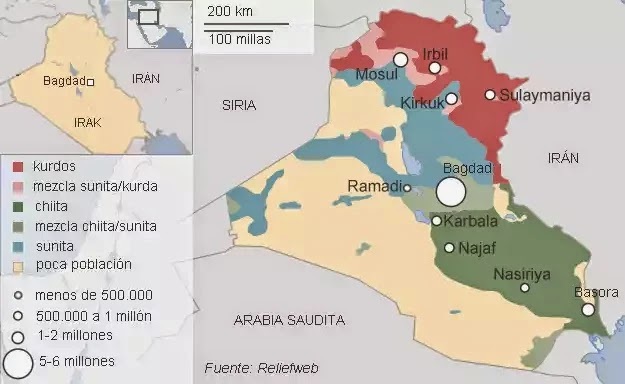 Political dynamics in Iraq in many ways reflect the mosaic of political landscape characteristic to the Middle East and broader Muslim world. It combines a centuries-long tradition of tribal politics with tendency for strong central power, inheritance of the failures of pan-Arabism nationalists and pan-Islamists in modern times, with sectarianism, cross-border influence of powerful neighbours, and a genuine search for a new, post-Saddam, political identity. At the country level the politics is divided along ethnic (Arabs vs. Kurds) and sectarian (Sunni vs. Shi’a) lines. At the local level further divisions and rivalry exist within each of those polity segments—among Sunni tribes and political parties (e.g. 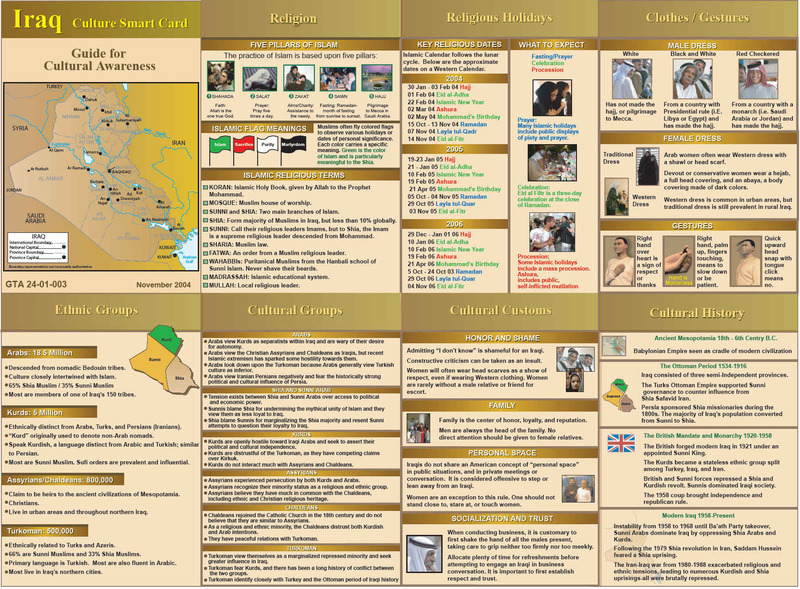 Iraqi Islamic Party, Association of Muslim Scholars in Iraq (AMSI), and Council of Iraqi Scholars); Shi’a parties (e.g. Supreme Islamic Iraqi Council (SIIC), Islamic Dawa Party, Badr Organization, Sadrist Movement); Kurdish parties (Kurdistan Democratic Party (KDP), Patriotic Union of Kurdistan (PUK), but also new players such as Kurdistan Islamic Union (KIU), and Gorran); and Turkmen fractions (e.g. Iraqi National Turkmen Party (INTP), Turkmen Democratic Movement, and Islamic Union of Iraqi Turkoman which represents Shi’a Turkmen). As a result of all these divisions, there is neither much issue-based politics nor is there genuinely inclusive secular political movement or party in Iraq. Perhaps, the fate of the Al-Iraqiya Alliance (a cross-confessional and mostly secular coalition of parties led by the former Interim Prime Minister A’yad Allawi) offers a telling story in this respect. Almost as prescribed in the seminal works of Mancur Olson, as a rule the cooperation between various Iraqi political groups at the central or local levels happens only in the face of an eminent common threat, or under coercion. No one trusts anyone else. Such a political set-up predetermines the character of transitional processes underway in Iraq, but at the same time it itself is profoundly influenced by the rapidly changing social, economic, and security contexts of the region and the country itself. This reciprocity has been famously noted by Michel Foucault, back in 1977: ‘The political is not what ultimately determines (or over-determines) elementary relations. … All relations of force imply a power relation … and each power relation can be referred to the political sphere of which it is a part, both as its effect and as its condition of possibility.’  Therefore, understanding this interplay is crucial for making sense of what is going on in Iraq, and eventually helping the local political actors to find a solution—without attempting to picking winners, taking sides, or engineering the outcome. The Government is oversized and costly: today, it keeps about 7 million people on public payroll, which costs it US$4 billion in salaries and pensions every month. Partly because of that, the Government is also ineffective as it employs an army of individuals most of whom don’t have a work to do, are unqualified and disinterested, in addition to the environment which does not offer any incentive for learning, innovating and improving. In 2008/2011 survey by the World Bank, on the quality of public administration and its professionalism, Iraq was placed right at the median position of the global ranks. This was a time when the last generation of well-educated and experienced Iraqi civil servants was still around. In the recent five years, most of them have retired (even those who, in line with the effective regulations, were allowed to be employed as senior advisers to the Prime Minister and the key ministries). With their departure, the technical quality of the bureaucracy has fallen sharply. In turn, the local (provincial) authorities lacked capacity from the onset and even though prescribed by the law, do not have in reality enough authority and resources to serve their constituents effectively. There is also big deal of competition and confusion between them and the representatives of central ministries in the field, in terms of who is in charge. Unsurprisingly in such a set-up, the relations between the legislative and the executive continue to be troublesome. The ministers being political appointees hold their allegiance to their political parties, not to the Cabinet: on numerous occasions in the recent years, some would leave the office for indefinite time, in sign of solidarity with their political party’s/ bloc’s disagreement with Prime Minister or their failure to reach an agreement with the ruling bloc in the Parliament. Ironically, in a survey conducted in 2012 by World Justice Project/ Rule of Law, Iraq has scored much higher than the region’s average in terms of government powers being ‘effectively limited by the legislative’. They are effectively limited indeed, but not always in the ways one would expect from a functioning democracy. Overall, the authorities, both elected and appointed, lack credibility—citizens see the officials as corrupt, self-serving and unwilling (if capable) to undertake the fundamental reforms for the people’s benefit. Transparency International consistently rates Iraq as ‘highly corrupt’, ranking it 175 (out of 178 countries) in 2010, 170 (out of 174 countries) in 2014 and 161 (out of 168 countries) in 2015. The countries which fare worse are Libya, Angola, South Sudan, Sudan, Afghanistan, North Korea, and Somali. At the same time, certain behaviours of public office holders (both elected and appointed) are tolerated by the society. Nepotism and patronage are considered normal practice in Iraq (to quite a degree), as they are across the Middle East and broader, Eurasian socio-political realm. It has its roots in a culture and tradition built around strong kinship and nomadic or rural community bonds, and therefore is well accepted by local people. For example, such practices as ‘trade in influence’ and undue interference in appointments to public institutions are considered corrupt by the Council of Europe and international anti-corruption bodies, but not necessarily in Iraq and countries with similar political tradition. This is one of many examples pointing to necessity of taking more nuanced approach when assessing the prospects of democratic reforms in the countries which have political tradition different from the Western tradition, as well as when designing and delivering technical assistance programmes aimed at helping those countries along the path towards market reforms and governance systems that respect political, social and economic rights of their citizens. Minientrada | Esta entrada fue publicada en inicio, Norte de África y Oriente Medio y etiquetada Iraq, Norte de África y Oriente Medio. Guarda el enlace permanente.